What’s New Kindle 2019 for Indonesian? 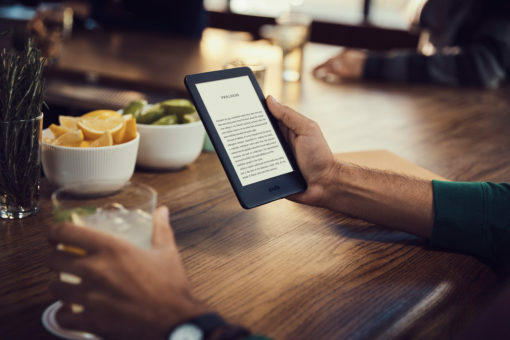 Pre-Order All-New Kindle E-Reader 2019 – (10th Ge) 6″ Glare-Free Touchscreen Display, Wi-Fi, With Ads is finally with Built in Light now.It has Built-in Bluetooth audio to enables access to the vast majority of Kindle features. Learn more about Accessibility for Kindle. Enjoy Instant Download Paid e-Books (>6 Mil), Magazines, Music, etc from Amazon Store US, UK/India or China from your Kindle directly in Indonesia with Amazon Gift Card, Amazon Prime Membership or Kindle Unlimited. Is New Kindle 2019 Worth for Indonesian? Yes, if you opt for the most affordable New Kindle (2019) that has Built in Light and NOT Waterproof.